Warwickshire Located in the heart of England, Warwickshire is the county associated with William Shakespeare; this is where was born, lived his life and where he died. It is also a county with strong connections to the monarchy of the past evidenced by the majesty of Warwick Castle, and a visit from Queen Victoria in 1830 turned plain old Leamington Spa into Royal Leamington Spa. It is a beautiful county with what remains of the ancient Forest of Arden to the north and limestone hills to the south. Located around one hundred miles from London, travel time to the capital is around 1hr 20 minutes by train and around 1hr 50 minutes by car. Warwick Castle dominates the skyline of the town, it is considered to be one of the best-preserved examples of a medieval fortress in the country. Walk around the town and you will notice the different periods of history coming together to give the town its unique feel; both medieval and Georgian architecture lines the streets. Warwick is home to the Warwickshire Museum and Oken’s House which dates from around 1550 and now contains an intriguing doll museum. St John’s House is filled with reproduction Victorian rooms and also houses the museum of the Royal Warwickshire Regiment. 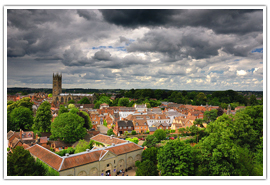 Famous for being the William Shakespeare’s place of birth, the town is located on the banks of the beautiful River Avon. It is one of the most popular tourist destinations in the country. 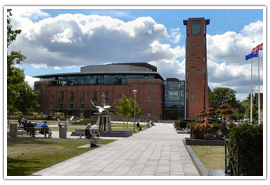 A visit here would not be complete without a trip to the theatre to watch the Royal Shakespeare Company perform some of Bard’s works. The town is also home to the Mechanical Art & Design Museum (MAD) which offers an unusual taste of the art world. 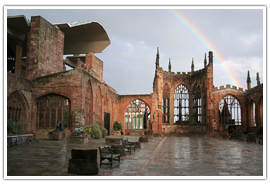 Coventry Cathedral is what draws people to the city. The City has a history and heritage to be proud of and there are a number of festivals which take place across the year which highlight everything which is good about the city. 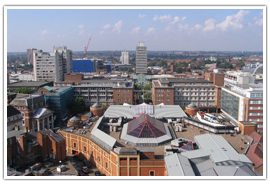 It is a city associated with enterprise and innovation as well as a center for learning and creativity. There are some wonderful parks and gardens to enjoy this incredible county. Located in Binley, near Coventry, Coombe Country Park offers a wonderful day out for the family whether for a family picnic or chance to get back to nature for a while. Lakes, woodland walks and plenty of gorgeous gardens are all waiting to be discovered. There are bird watching hides located around the park and two children’s play areas. This award-winning park is open daily across the year. 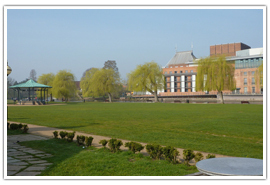 Located in Stratford upon Avon, the gardens are close to the Royal Shakespeare Theatre. In medieval times this Bancroft was where the people of the town let their animals graze. The gardens are also located on the site of what used to be canal wharves and warehousing. The recreation ground is located across the river and offers a children’s paddling pool and play area as well as space for a number of sporting activities. The gardens and recreational ground are open daily throughout the year. Located in Sutton Coldfield this park offers plenty of waterside attractions. It contains fifteen different lakes across 600 acres of parkland. It is the perfect place for cycling, walking and horse riding, as well as fishing, bird watching or simply picnicking. Water-based activities are available such as jet bikes and sailing, and there are a children’s farm and miniature railway. The park is open all year (closed Christmas Day) between 5.30am – 8.30pm. Everything you could want from a castle is here; tales of treachery and deceit, power, passion, and torture await the visitor to the castle. Get to grips with a real sword and see how it handles or tries your hand at the regal sport of falconry. The castle is more than 1,100 years old and offers a range of daily activities and shows for visitors. 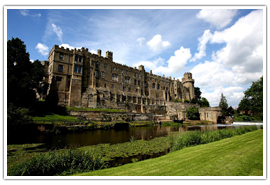 For information about opening hours, activities and ticket prices visit http://www.warwick-castle.com. 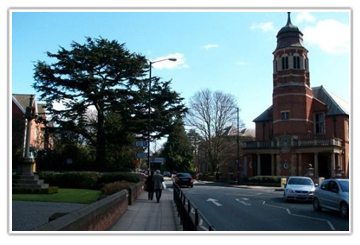 Over the past 1,000 years, Coventry has had a total of three cathedrals; the first dated from the 12th century and was the Priory Church of St Mary, a Benedictine Monastery. This was followed by the medieval Cathedral of St Michael and finally the modern cathedral which is also named for the saint. The medieval Cathedral of St Michael was destroyed in a bombing raid by the Luftwaffe in November 1940. The decision to rebuild was taken immediately. The foundation stone for the new cathedral was laid by the Queen in March 1956, with the completed building being consecrated in 1962. The cathedral is open daily across the year from 10.00am – 5.00pm Monday – Saturday and 12.00pm – 4.00pm on Sundays. The ruins of the medieval cathedral are also open to visitors. For more information visit http://www.coventrycathedral.org.uk. 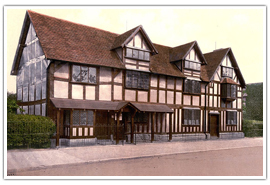 Located in the center of Stratford upon Avon, Shakespeare’s birthplace has been attracting visitors for more than 250 years. He was born in the house and spent his childhood here. It is also where he and his wife Anne Hathaway spent the first five years of their married life. Follow in the footsteps of other literary greats which have visited here such as Charles Dickens and Thomas Hardy and discover more about the Bard. Visit Shakespeare’s Birthplace to find out more about opening times, exhibitions, and prices. Take a break from discovering about the history of the county and its most famous son. Located in Atherstone, Twycross Zoo makes a great day out for all the family. Here you will discover animals of all shapes and sizes from big cats to creepy crawlies. Twycross is a specialist primate zoo and is home to all species of the great apes. It is also home to the rarest big cat in the world, the Amur leopard. 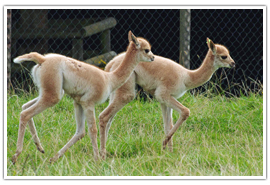 For information about opening times and ticket prices visit http://www.twycrosszoo.org. 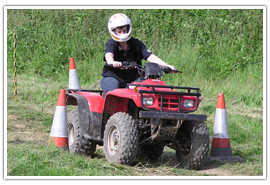 Try your hand at maneuvering an all-terrain quad bike across as full 100 acres of obstacle-riddled countryside. Full training is given before participants depart on their hour long trek through the Warwickshire countryside. The activity is available through Adventure Sports who are located in Warwick. Visit http://www.adventuresport.co.uk for information on other activities and pricing. Explore the countryside on the back of a camel. 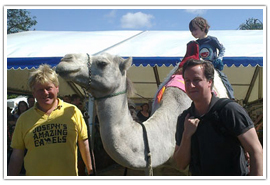 As part of the three-hour trek experience, you will learn how to groom and tack your camel. It is a truly unique way to enjoy the landscape in one of the country’s most beautiful regions. 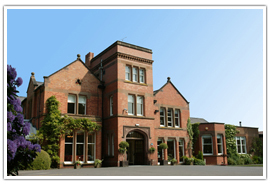 Jacamels are located in Warwick, for more information on prices and how to book visit http://www.jacamels.co.uk. Relax and unwind with a traditional afternoon tea is some of the county’s most picturesque locations. 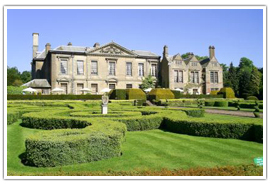 Located in Binley in Coventry the Coombe Abbey Hotel is set within 500 acres of stunning grounds and gardens. The former 12th century Cistercian Abbey makes a glorious setting for afternoon tea. Afternoon tea is served daily from 2.30pm – 5.30pm, prices for afternoon tea start at £20.00. Visit their website to learn more about menu options and how to book. 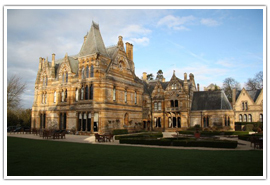 Located in Stratford upon Avon the Ettington Park Hotel is a stunning Neo-Gothic mansion. Afternoon tea is served in the drawing room and consists of traditional fayres such as warm scones with clotted cream, finger sandwiches, and pastries. Afternoon tea is served daily between 3.00pm – 5.00pm and prices start at around £19.50. For more information about menu choices and how to book visit the Ettington Park website. 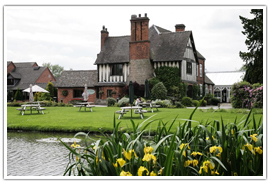 Warwickshire offers some stunning wedding venues to make your big day even more special. 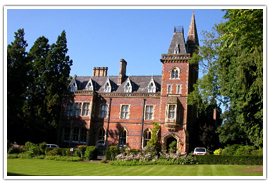 Located in Rugby this Grade II Victorian Gothic Mansion offers a stunningly romantic setting for a wedding. It sits nestled within seven acres of established woodland and has a stunning sweeping staircase perfect for a big entrance and wedding photographs. Located in Kenilworth, Woodside is a beautiful Edwardian Country House set within 32 acres of well-maintained grounds and gardens. Guests also have exclusive use of the onsite leisure facilities such as the swimming pool, tennis courts and fitness suite. Located in Stratford upon Avon, The Moat House dates from the 12th century and is a wonderfully situated country house which is surrounded by private orchards. The oak beamed barn makes for a stunning venue as does the local church which is located next door. There are more than 90 campsites to choose from when visiting the county. 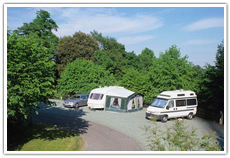 • Chapel Lane Caravan Club Site – Wythall, Birmingham, Warwickshire. 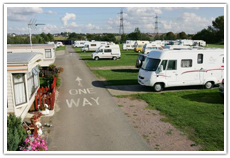 • Warwick Racecourse Caravan Club Site – Hampton Street, Warwick, Warwickshire. • Hoar Park Farm Certificated Site – Nuneaton Road, Ansley, Nuneaton, Warwickshire. • Pilgrim Lock Certificated Site – Welford Road, Barton, Bidford on Avon, Warwickshire. 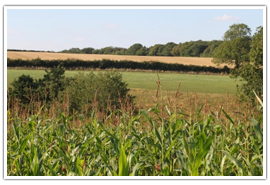 • Larkhill Farm Certificated Site – Oxford Road, Princethorpe, Coventry, Warwickshire. 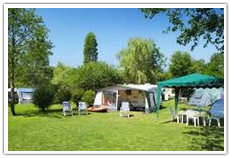 • Lodge Farm Camp Site – Bilton Lane, Long Lawford, Rugby, Warwickshire. • Hollyfast Caravan Park – Wall Hill Road, Allesley, Coventry, Warwickshire. • Island Meadow Caravan Park – Mill House, Ashton Cantlow, Stratford upon Avon, Warwickshire.